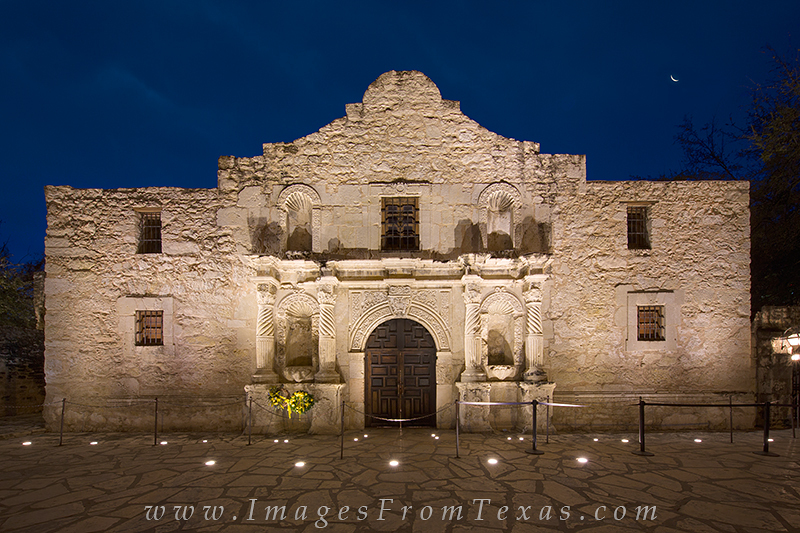 This photograph shows the Alamo in San Antonio, Texas, in the early morning. I wanted to be here at this time of day for a few reasons. First, I knew the crescent moon would be rising in the northeast. Second, I wanted to show the shadows the floodlights create as the project their light upwards. If you notice on the second floor of this old mission, the shadows appear as tombstones, perhaps an unintentional reminder of those who gave their lives on March 6, 1836. Photo © copyright by Rob Greebon.